Film teachers and students will welcome this new anthology, which makes available in one source a comprehensive selection of recent theoretical work on film, including many articles difficult to locate in the scattered literature. The contents are drawn almost entirely from the publications of the past fifteen years, and include work by the most original film thinkers—some well known to a wide public, some widely known among readers of film journals. Several important filmmakers are also represented. The materials have been grouped in critical categories reflecting recent approaches to the medium. In place of older questions such as the relation of film to other arts, or film's ability to capture an imprint of reality, the questions emphasized in the anthology concern film's ideological operations, the nature of film genres, the role of the auteur in the creative process, the representation of social groups (such as women) in film, the logical of narrative and formal organizations in films, the treatment of films as myths, and new theoretical perspectives. Thus the contents reflect the use of political, structualist, semiological and psychoanalytic methods, as well as those of more traditional criticism. 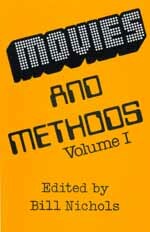 There is virtually no duplication of materials included in the Mast & Cohen anthology Film Theory and Criticism. The editor has provided an overall general introduction, and mini-introductions to each text. A glossary of terms used in structuralist-semiological work is included, and lists of additional readings are provided. Its scope and careful organization will make this volume a fundamental resource for film scholarship and teaching.